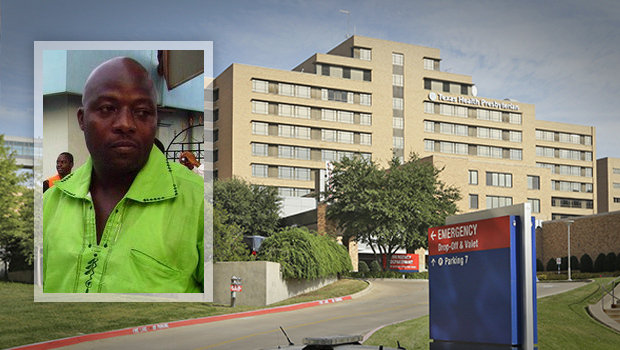 The first person diagnosed with Ebola on American soil has begun receiving an experimental medication, just as officials announced his condition was worsening. Thomas Eric Duncan is now being treated with brincidofovir, receiving an investigational medication in late-stage testing for other types of viruses, officials said Monday. Two other experimental drugs developed specifically for Ebola have been used in American patients. None have been approved by the FDA. At least one of those drugs, Zmapp, was used on American missionaries who have since been pronounced free and clear of Ebola. Physicians, however, were quick to point out they could not say for sure whether their recovery was due to the experimental drug or not. Texas governor Rick Perry has formed a new task force dedicated to finding ways to fix flaws exposed by the nation's first Ebola diagnosis. The most serious occurred when the hospital allowed Duncan to go home after he first showed up with symptoms. "There were mistakes made," said Perry. "But the fact is, I stand by the fact that the process is working." Dallas County's top administrative official, Clay Jenkins, also has thoughts on the process. "Making it work meant personally moving Duncan's quarantined family members from their apartment," Jenkins told CBS News correspondent Manuel Bojorquez. He took them to a new location without wearing protective gear to clam fears that Ebola is easily spread. But he says the apartment clean-up was a problem. "It took three days after the diagnosis to get a hazmat crew in there," said Jenkins. "Because people are so afraid of Ebola, finding people to clean, to dispose of it, getting permits from state and federal agencies, was arduous and is way too long and we got to speed it up."